Developing a management plan and implementing a monitoring program is an investment into the future of your operation. Photo courtesy of Troy Walz. Planning and monitoring are often underutilized tools in range and pasture management. Growing and harvesting forage with livestock is the foundation of a ranch business and development of a written plan increases your ability to effectively manage your resources. A written management plan details the steps needed to achieve specific goals and objectives you identify for your operation including the management of forage resources. Once written, a management plan becomes a living document that evolves with your management based on environmental conditions and, most importantly, monitoring. The process of developing, writing and reviewing the management plan provides the opportunity to communicate goals and objectives with ranch team members. Involving ranch team members in the process and updating of the plan throughout the year provides accountability and teaching opportunities to educate them on sources of information and how it is used in making decisions. The plan is a living document that adapts and changes with the circumstances. Obviously, things often don’t go according to plan! Including contingencies for unexpected events such as drought, hail or fire can be helpful to execute decisions when emotions are in turmoil. Over time, documented plans provide helpful information to see trends and impacts of both management and environmental events. The management plan can be helpful in working with people and agencies that are not an immediate part of the ranch team. A written management plan demonstrates to off ranch family members, private land owners along with government agencies your knowledge and commitment to good stewardship. After establishing goals and objectives, a plan must be developed to identify the available range and pasture resources. Forage is valuable! Optimizing the use of forage resources is critical to the bottom line of the operation and proper management ensures viable forage resources for the future. To develop a forage resource description, you must have an understanding of the range and pasture resources or ecological site you are managing. Three valuable questions to understand available resources are: What resources are available and what is the current condition? What is the production potential now and long term for this resource based on its current state? What management practices will move or maintain the resource toward the desired condition over time? There are several components to an ecological site including soils, physical features, climatic features, hydrologic features, plant communities, plant community dynamics, annual production estimates, forage growth curves, and wildlife communities. 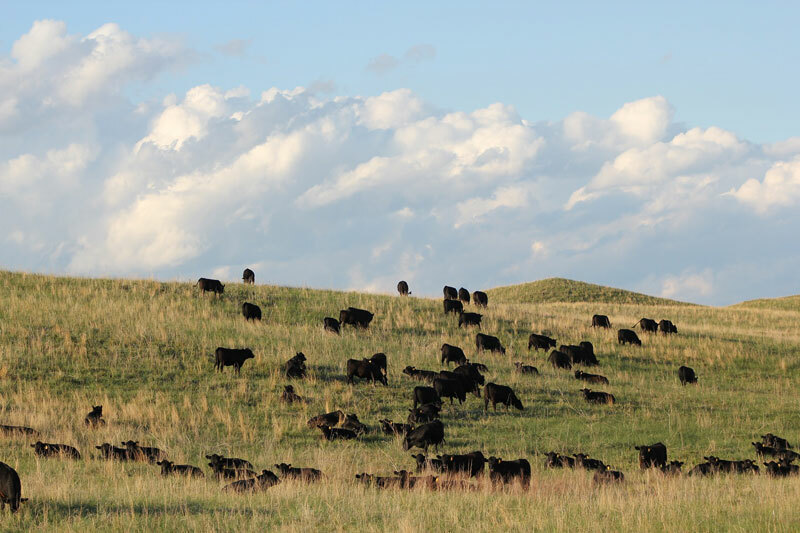 While this list can seem a bit overwhelming, understanding the resource is foundational for making management decisions on rangelands and pastures. Your local Natural Resource Conservation Service can be an excellent resource in helping to provide information on these components. Much of this information is also available in Web Soil Survey. Monitoring is a great way to learn grassland species and become aware of how management and environmental events impact them. An effective monitoring program collects information annually. Monitoring can often be overshadowed by urgent daily tasks, however, range and pasture managers cannot afford to neglect knowing their foundational resource. If you are just getting started, consider identifying and learning about three key grass species. Understand their growth patterns and what they contribute to the total forage production. Once you are comfortable with those, add another one or two. Additional key information to record in monitoring is precipitation, time of use, as well as the amount of forage harvested (animal unit months for livestock). Monitoring allows you to evaluate the impact of management practices, environmental conditions, and their interaction from year to year. It also helps you to understand trends as you check progress toward your goals. A reference of the past helps you plan for and predict future conditions. A monitoring program is also a teaching opportunity to help ranch team members learn about the resources and how management impacts those resources. There are a variety of tools and techniques available to aid you in developing a monitoring program. When you start, chose locations to monitor that are representative of the pasture. Avoid heavily utilized areas near water sources as well as underutilized areas. A quick and effective method for visually monitoring pastures is photo monitoring. GrassSnap is a mobile app designed to assist with grassland monitoring by capturing photos and collecting data that can then be stored on your computer for future reference. Photos are taken in the same location annually to monitor changes over time. Although you do not collect rigorous vegetation data, you can still identify key species in the photos to estimate plant health and vigor. Landscape photos give you a broad view of each pasture. Other considerations for photo point measurements are to collect data around the same time every year and to include a reference point in each photo to estimate plant density and to compare to previous and future photos. GrassSnap is available in the Apple App Store and the Google Play Store. The Grazing Records Spreadsheet is an Excel® based tool that allows a producer to identify individual pastures and record grazing. This tool calculates animal unit months of forage harvested base on the weight of cattle in a pasture and the length of time that they were there. Download the Grazing Records Spreadsheet here. Developing a management plan and implementing a monitoring program is an investment into the future of your operation. Both of these investments are reliant on sound grazing management. Take advantage of resources available to develop your management plan, especially those programs that offer incentives and compensation for sound management. Lastly, remain flexible in your management and open to new ideas.